Convicted August 19, 1949 for the murder of Janet Fay, sentenced to death. Executed via electrocution March 8, 1951 at Sing Sing Correctional Facility. Along with Raymond Fernandez, Beck committed a series of murders in the late 1940's that earned them the title of "The Lonely Hearts Killers." Beck and Fernandez themselves had met through a so-called "lonely hearts" service and the two became partners in crime, answering other singles ads with intention to swindle and murder. Once brought to justice, their lurid story became sensationalized in the media, and continues to be to this day; see the 2006 film Lonely Hearts, where Beck is played, puzzlingly enough, by Selma Hayek. Though convicted only of the murder of Janet Fay, a move that allowed Fernandez and Beck to receive the death penalty, the two were responsible for many more murders, including Delphine Downing and her 2-year-old daughter Rainelle. 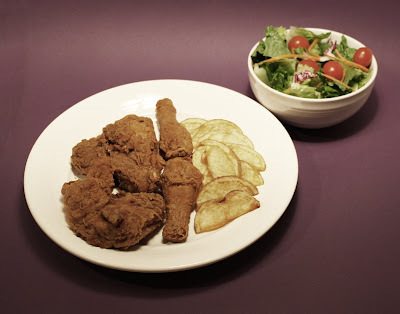 Beck, a Florida native who had often been criticized for her weight, seems to have taken comfort in her final hours with traditional southern fried fare alongside a modest salad.